Touch the Sky… Seek the Stars… Return Home. Read about the participants aboard the Aurora Flight. Celebrate a loved one's life and dreams of spaceflight aboard the Aurora Flight. 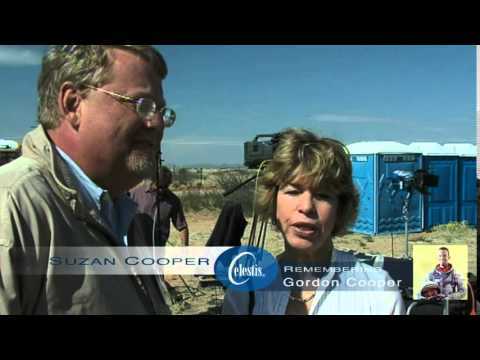 Launch to space and Flight Capsule return to Earth at Spaceport America, New Mexico. Invitation to witness the launch from a reserved location - experience the speed, roar, and grandeur of this ultimate memorial. 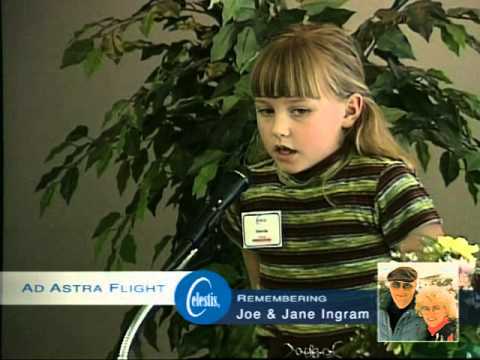 Participation in a three-day memorial event in New Mexico - the cradle of American modern rocketry. Includes a trip to view the SpaceLoft XL rocket on the pad prior to launch, memorial service, and more. Unable to travel to see the launch? No problem. Watch the memorial service and the launch via webcast. Return of the individually engraved Flight Capsule that carried your loved one's cremated remains or DNA sample to space and back to Earth. The returned capsule is accompanied by a Flight Certificate authenticating and recording the exact mission trajectory, verifying the capsule reached space. Performance guarantee backed by Celestis, Inc. – the pioneer and global leader in memorial spaceflight services since 1994. Aurora, the eighth Celestis Earth Rise service, will fly from Spaceport America, New Mexico. Each flight capsule - containing a symbolic portion of cremated remains or DNA sample - will experience the elegant dance of weightlessness, and return to Earth for recovery. The Celestis flight capsules are placed aboard a UP Aerospace SpaceLoft XL rocket, which has flown eight Celestis Earth Rise service missions. Family members, friends, and loved ones will gather to share stories about loved ones on board, to make new friends, and to witness – often for the first time – the power and grandeur of a launch into space. It is an experience that will be cherished for years. 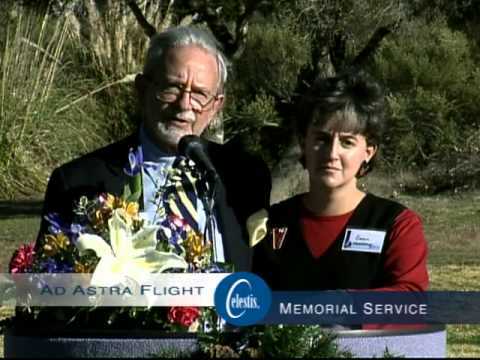 Liftoff of the Goddard Flight from Spaceport America, New Mexico (2011). Attend the Aurora memorial service, an event that brings together people from all over the world who share thoughts and remembrances of the loved ones on board. Tour the UP Aerospace mission control facility and view the rocket before the launch, for a final farewell. The Aurora Flight will be hosted aboard an UP Aerospace SpaceLoft XL rocket. Up Aerospace's SpaceLoft-XL rocket oriented horizontally on rail. The Celestis spacecraft containing the individual flight capsules is integrated onto the rocket weeks before the launch. On board cameras produce stunning flight images. "My grandma and my papa are going to be the ones to go up into outer space." Astronaut L. Gordon Cooper is one of the 200 participants aboard the Legacy Memorial Spaceflight that was launched on April 28, 2007. His wife, Susan Cooper shares her experience.